We’re pulling out of our Spring Slump, and I couldn’t be happier about it. Every year, I become convinced that our church has entered a death spiral. It usually happens in late-February or early-March. Attendance at H2O ministry activities drops by 25 to 35 percent. Morale and motivation seem to dip even further, among both staff and students. The winter weather seems like it’s never going to let up. It’s not the most enjoyable time for collegiate ministry. At the same time, I’ve learned to take some solace from the fact that it occurs in predictable intervals. We’ve taken to calling it the Spring Slump. It’s surprisingly helpful to identify and categorize such a phenomenon. Other ministry workers at Kent State University (and on other college campuses) have corroborated the existence of this Spring Slump. Academic instructors at Kent State University confirm a similar drop in energy and enthusiasm. And as much as we all seem to despair when the Spring Slump rolls around, we’ve all learned to take heart from the fact that it’s not permanent. Our numbers were up again at our H2O ministry activities this weekend. There is a growing sense of enthusiasm about Spring Break (next week!). We’re looking forward to the Home Stretch that runs from the end of Spring Break to the beginning of Final Exams. There’s been more sun in the sky recently, and the crocuses are starting to peek out. It feels good to be snapping out of the Spring Slump. 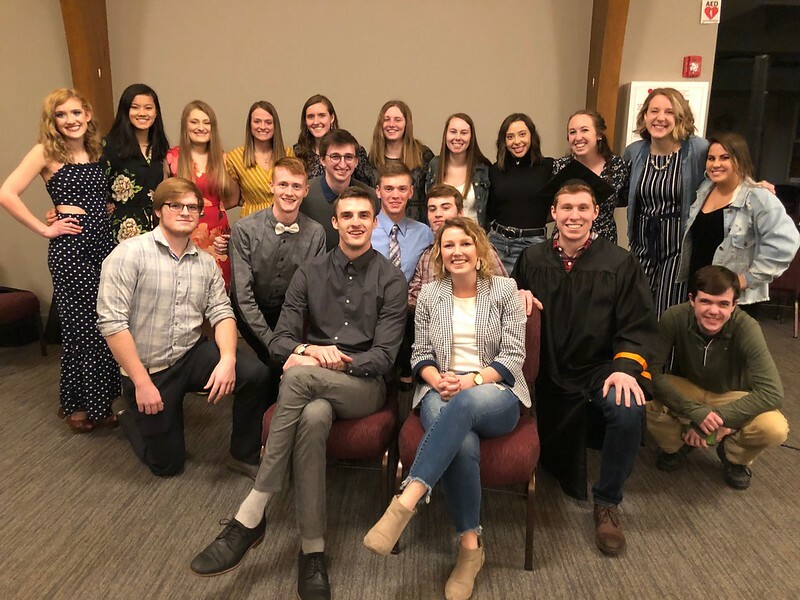 Last night, H2O Kent celebrated the “graduation” of another class of students who made it through the seven-week discipleship experience we call The Well. Words of affirmation and exhortation flowed freely. Students shared stories of their experiences with H2O, and we were all reminded that God has been doing some amazing things — even during the Spring Slump! 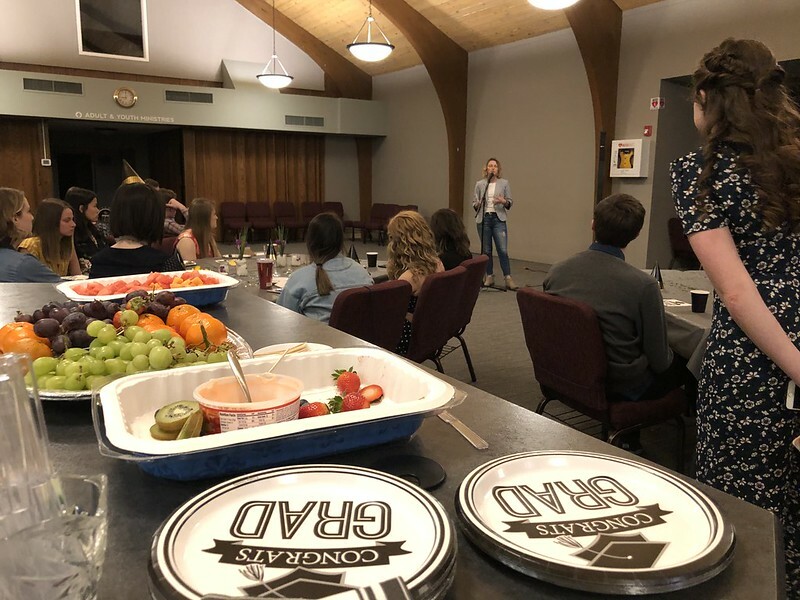 I felt very encouraged to be a part of the Closing Ceremonies for The Well, and I look forward to seeing what God will do with the rest of this semester, now that we’re (hopefully) past the Spring Slump. I can’t remember the last time I read a whole book in a single day! But that’s what happened with Haruki Murakami’s What I Talk About When I Talk About Running, while I was traveling in Europe. It felt like a very meaningful book in a very meaningful moment for me. I borrowed the book from my friend Dylan. 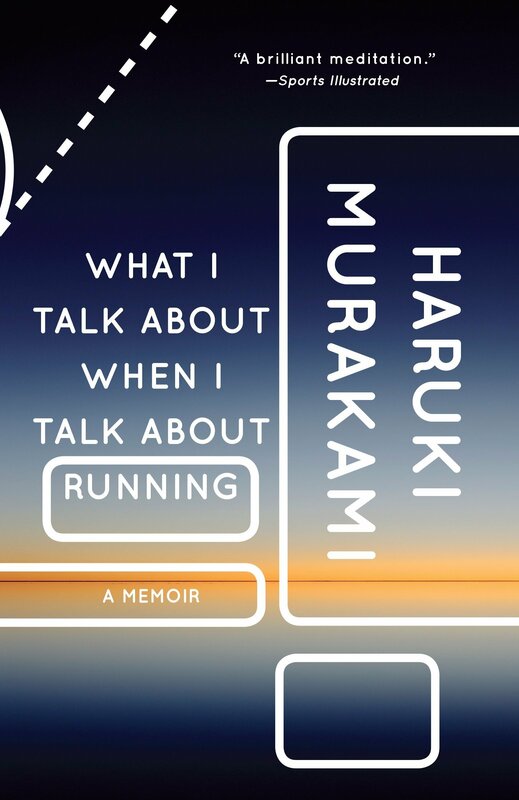 And it was a bit of a joke between us, as he was reading it over the previous month or so, that I would regularly ask: “Well, so what is Murakami talking about, when he talks about running?! ?” And Dylan never gave a very straightforward answer. He actually made it sound like it was a pretty simple, straightforward journal of a man preparing to run the New York City Marathon. I read things very differently, though, as I zoomed through the book. It feels like Murakami and I are on a pretty similar wavelength: on running, writing, identity, aging… It was really a delight to find a kindred spirit in the pages of this book! What is Murakami talking about when he talks about running? I believe he’s talking about aging! He’s talking about perseverance. He’s talking about the way that his career has unfolded — not always in line with his expectations. He’s talking about his understanding of himself and the world around him. It’s so ordinary, and so beautiful. I don’t know how much a person has to understand running and writing and aging in order to make all the connections — but man! This book hit the spot for me! People sometimes sneer at those who run every day, claiming they’ll go to any length to live longer. But I don’t think that’s the reason most people run. Most runners run not because they want to live longer, but because they want to live life to the fullest. 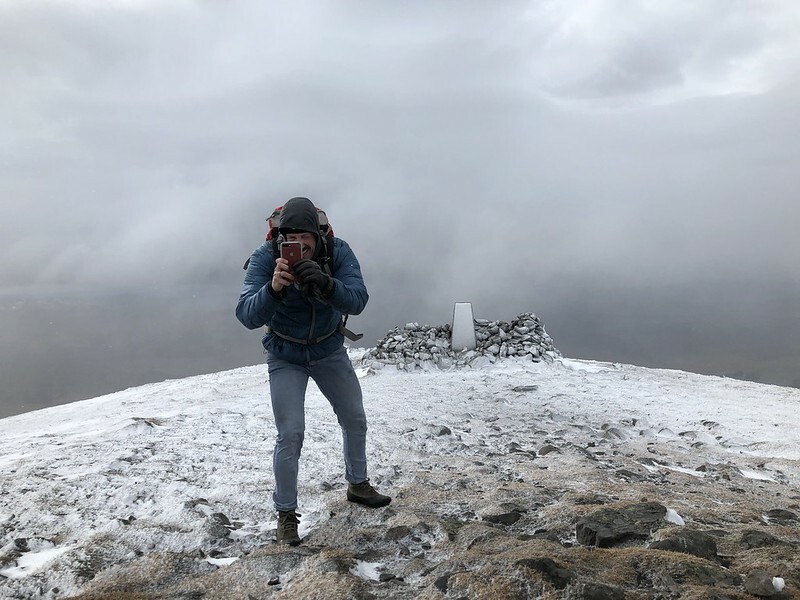 If you’re going to while away the years, it’s far better to live them with clear goals and fully alive than in a fog, and I believe running helps you do that. 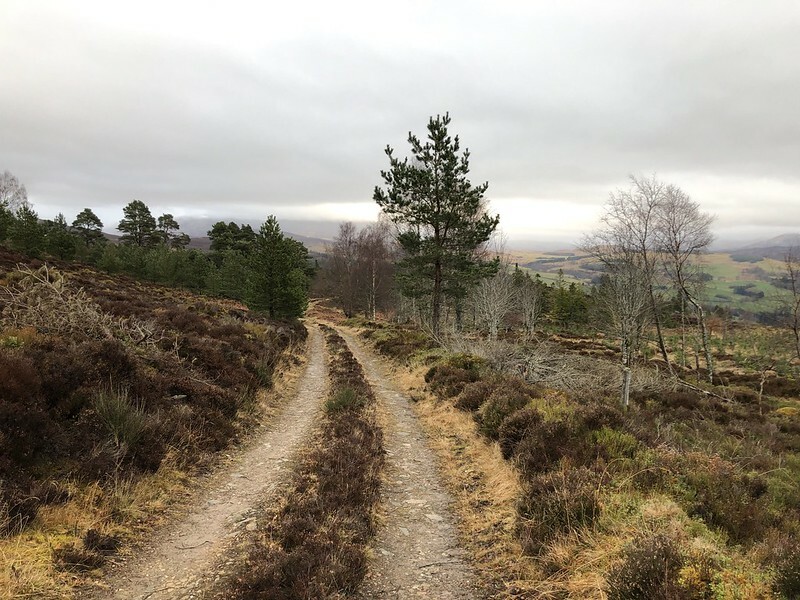 Exerting yourself to the fullest within your individual limits: that’s the essence of running, and a metaphor for life — and for me, writing as well. I believe many runners would agree. I definitely agree. If you couldn’t already tell my feelings towards the book: I really enjoyed it. I feel like it connected with my interests and circumstances more powerfully than most books. Murakami speaks with a simple elegance about a lifetime of moving “toward a taciturn, unadorned maturity.” And I relate to that. This book motivated me to keep chugging along deliberately, day-by-day, even when it seems to be a situation of diminishing returns. In life, love, family, and faith, I want to just keep running as far as my legs will take me. I can’t say there were any great epiphanies over the course of the week. I don’t have specific stories of specific moments where I really felt God speaking to me, though I’d say I definitely experienced God’s touch in the way I felt seen and known and understood — by Jay, by the MacRaes, by the authors of books I read along the way, and by quiet moments of reflection. 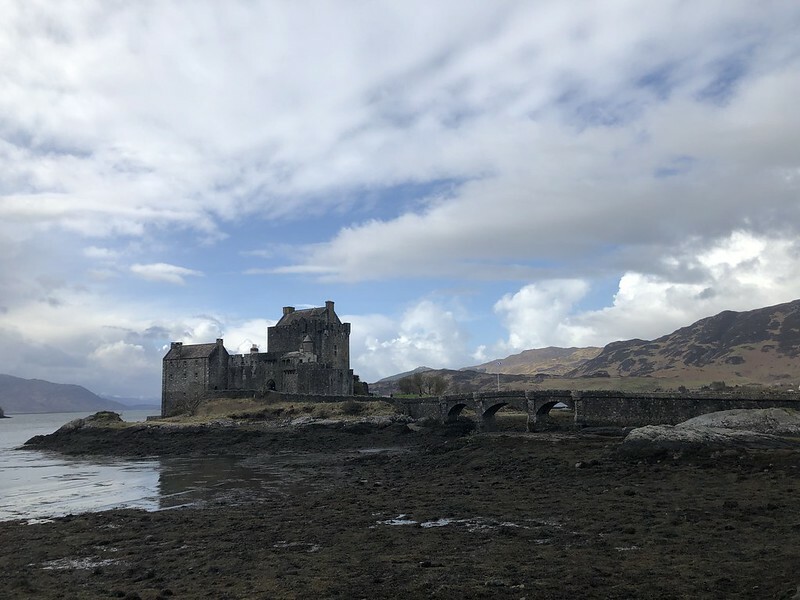 The favorite part for me, hands down, was the feeling of freedom and “elbow room” we experienced from Wednesday through Saturday, from the grocery store in Perth to the parking lot of Eilean Donan. I don’t think we encountered any other tourists during that entire time! 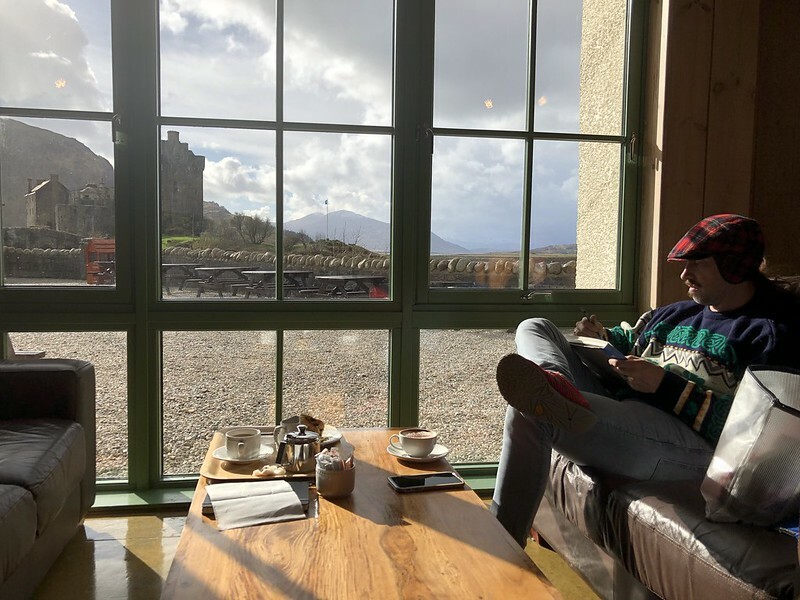 There were some Scottish people traveling for a little overnight or weekend away — but even those were few and far between. We ate good food. We saw beautiful elements of God’s creation. We enjoyed time together as brothers. 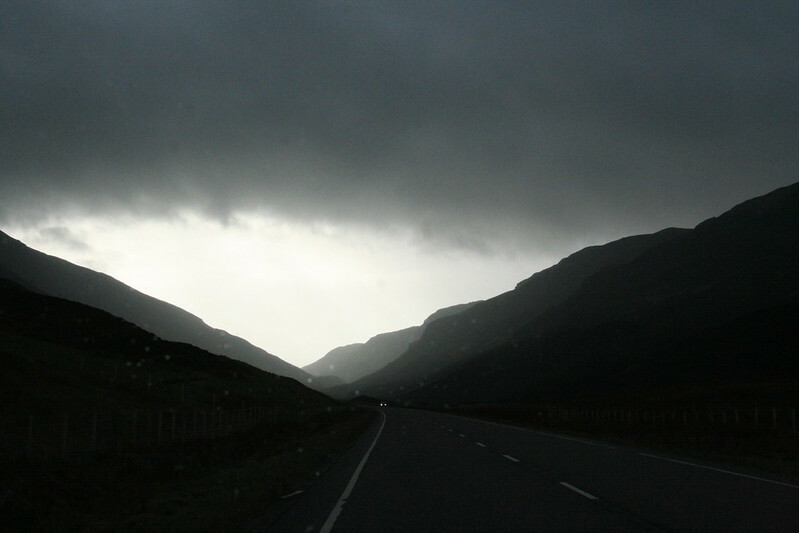 The week in Scotland filled my soul on so many levels, like only the best of vacations can do. It was an entirely satisfactory vacation. 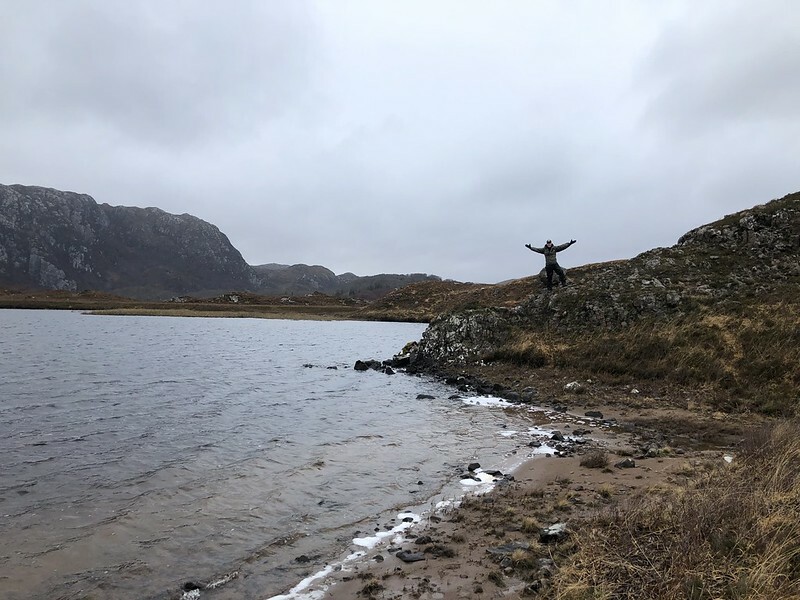 But even more than the hikes and sites and moments of joy in Scotland, the week of separation from regular life made me realize how satisfied I am with my regular life. 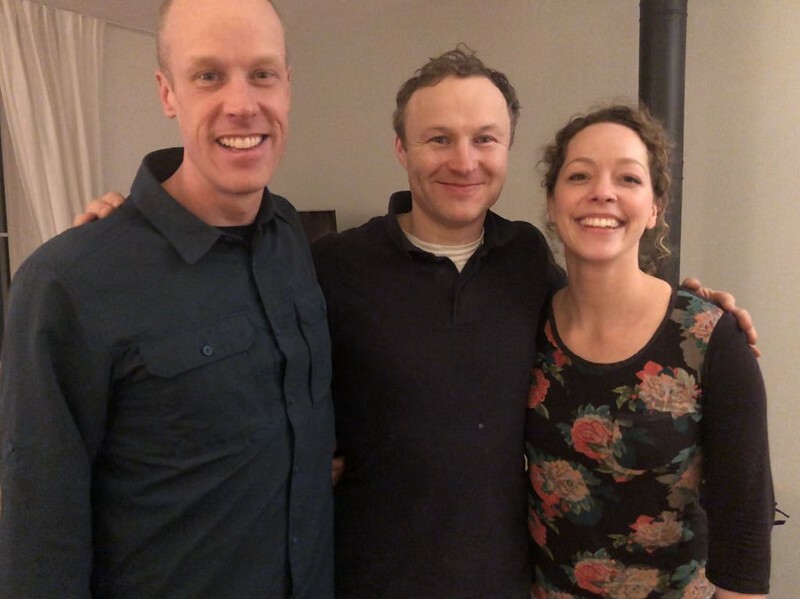 While we were there, I often had a hard time falling asleep at night: partly because of jet lag, partly because we were sleeping in a camper-van, and partly because of my brother’s snoring. 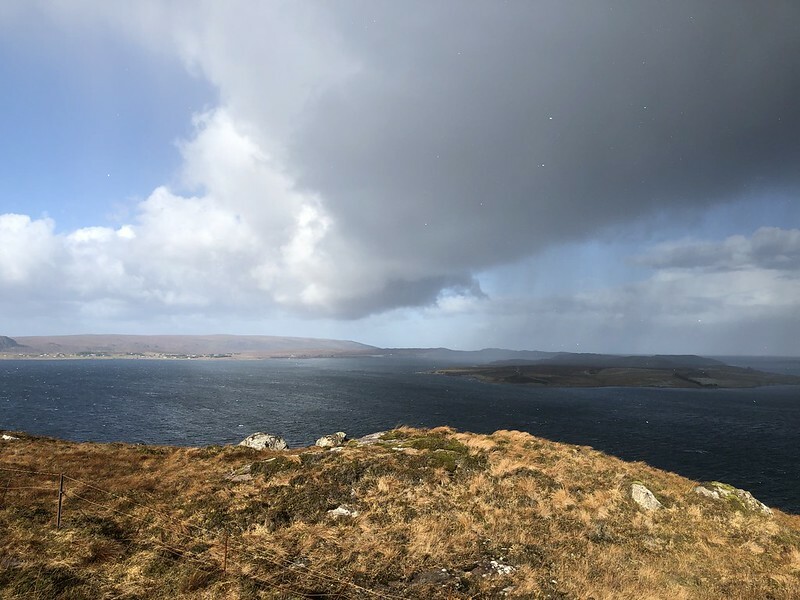 But I appreciated those nights in the camper-van and the way they actually gave me space to do some thinking about everything that’s happened in my life over the last seven years, since our last time together in Scotland. 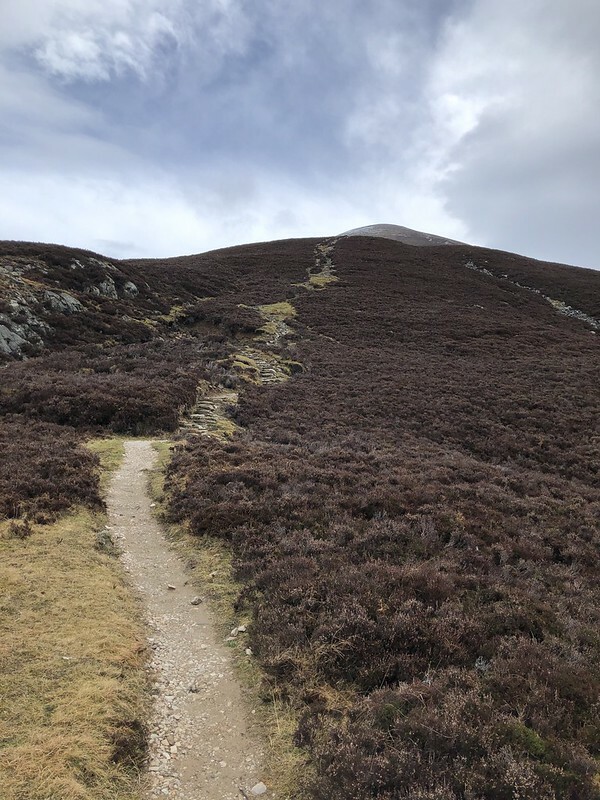 It may not have been the profound “Measuring Stick” that I was wondering about on the front end of the trip, but still there were things I noticed. I noticed that I’ve been humbled over the last few years — with mistakes and miscalculations I’ve made in ministry. At the same time, I think I’ve grown less fearful and more thankful. I’ve become a more regular pracitioner of the spiritual disciplines, in a way that feels very personal and genuine to me. I’ve developed better communication with Marci. I’ve figured out a fumbling way forward with the parenting of young adolescents and the pastoring of older adolescents and young adults. I’ve found happiness and community in Kent. I love my co-pastors and the talented team that’s been developed (and is still developing) for the future. My physical health is as good as it’s ever been — and even when that eventually starts to fail, I’ve also grown in wisdom enough to not be too bummed by that. These were the thoughts that would swirl in my head, as I stared at the ceiling of our camper-van at night. My life isn’t perfect. 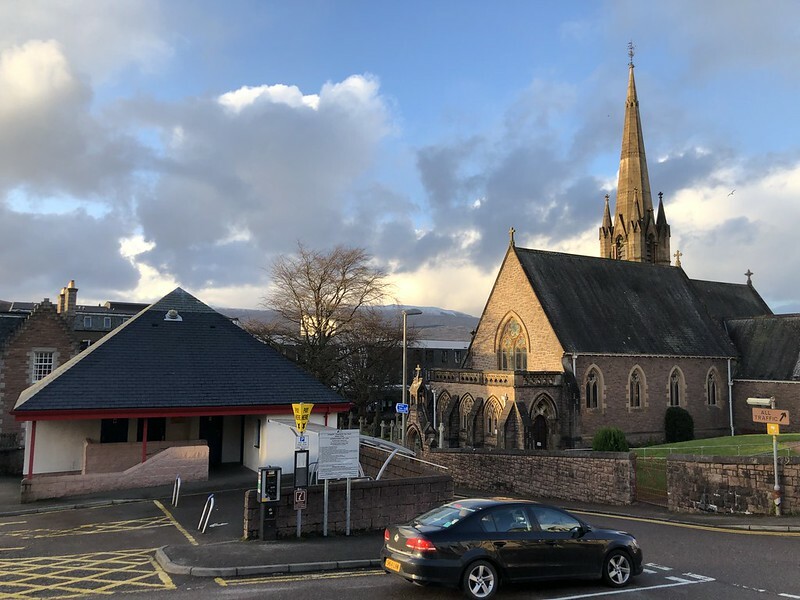 The support-raising thing (which I’m in the middle of right now) can be a real drag (even while visiting Scotland, I got word of a setback with one of the newest members of our ministry team). The trials and tribulations of college students can be wearisome. The congregation I serve feels younger and younger, as I get older and older. Life with family and friends is often messy… but winding roads can be beautiful roads. I love my life. I love my wife. 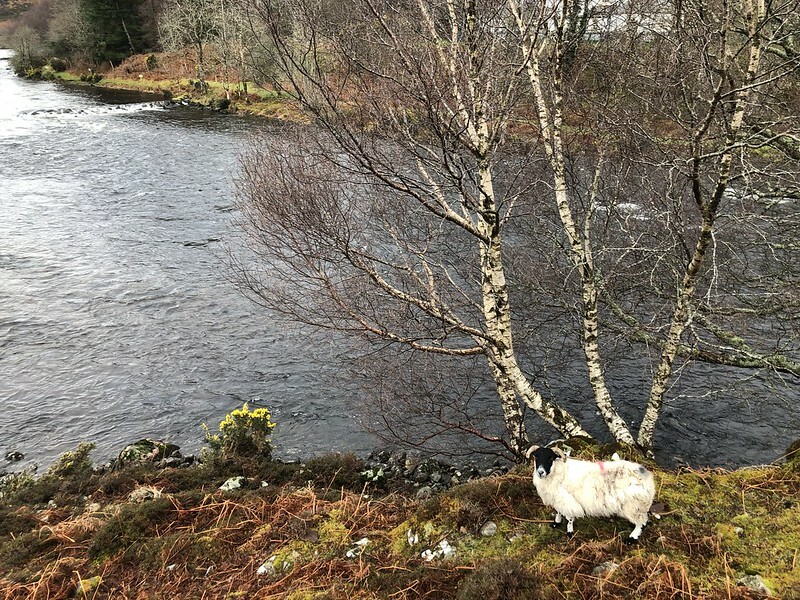 I’m surrounded by love, to the point that I have to run away to the Buckeye Trail or the Highlands of Scotland to feel even the tiniest sense of loneliness. I feel grounded — at least for the moment — in my walk with God and the work He’s given me to do. I don’t have much in the way of delusions that I’m ever going to be a world-renown writer or teacher or church-planter or whatever. But I’m satisfied that my middle-aged, middle-class, Midwest ministry life is a good life. It may never rise above the level that most would label “mediocrity,” but that doesn’t really matter. I’m in a satisfied place. A centered place. And even as the world keeps shifting and struggling through all its ups and downs, I’m freshly resolved to stay centered on God’s goodness and grace as I persevere through the second half of my life. 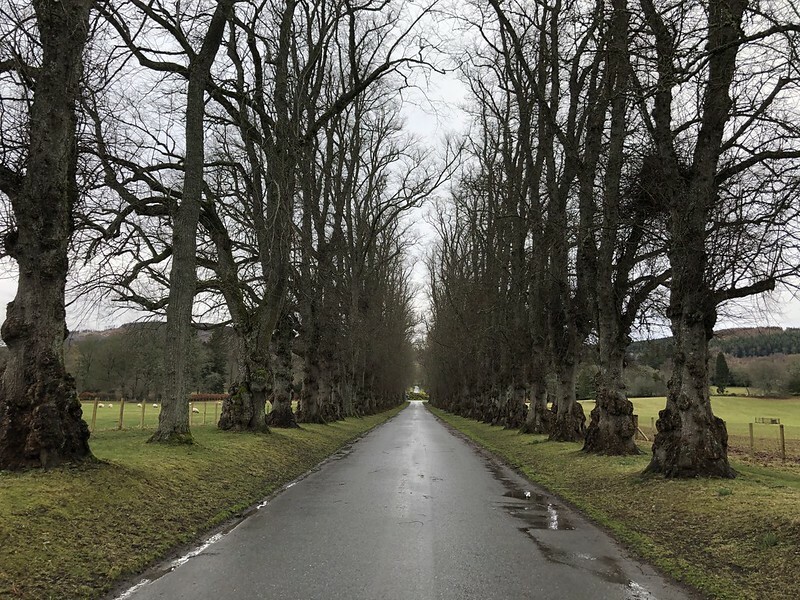 As we draw near the end of our time in Scotland, my brother and I have traveled south towards the more inhabited areas of the country. I’ve really come to appreciate the space that’s been provided throughout this trip when Jay has taken out his art supplies to work on a painting each day, as a part of a 31-day challenge. While he’s doing his painting, I get a chance to catch up on journaling. Or reading. Or social media (which is increasingly possible, as we drive to the south, where the signal is stronger). These lulls in the action actually make the trip more enjoyable for me: a part of the adventure, not an interruption to the adventure. Even in the “busy” parts of Scotland (which really aren’t all that busy), we’re still pretty free and happy in our camper-van. 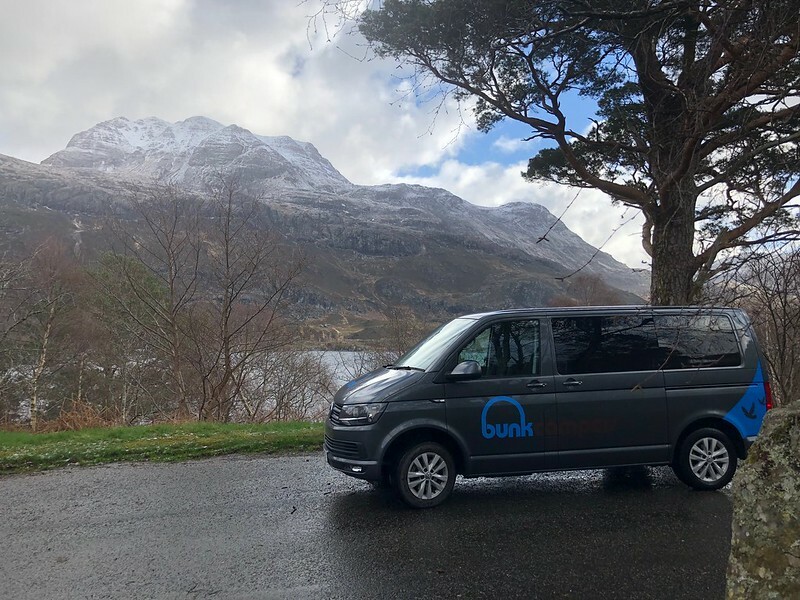 I can’t say this week has provided the best sleep I’ve ever had, but the mobility, efficiency, and cost-effectiveness of the camper-van have been pretty hard to beat. It’s been especially nice to have a space to warm up and dry off between adventures. 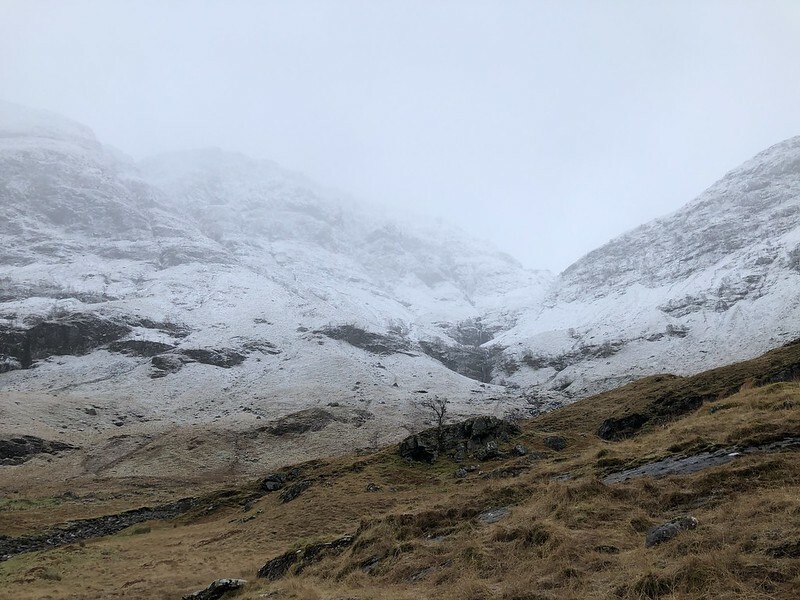 The coldest, wettest, and most-adventurous part of our time in the southern Highlands was an attempted walk from Glencoe to set of three mountain peaks called the Three Sisters, or Bidean nam Bian. 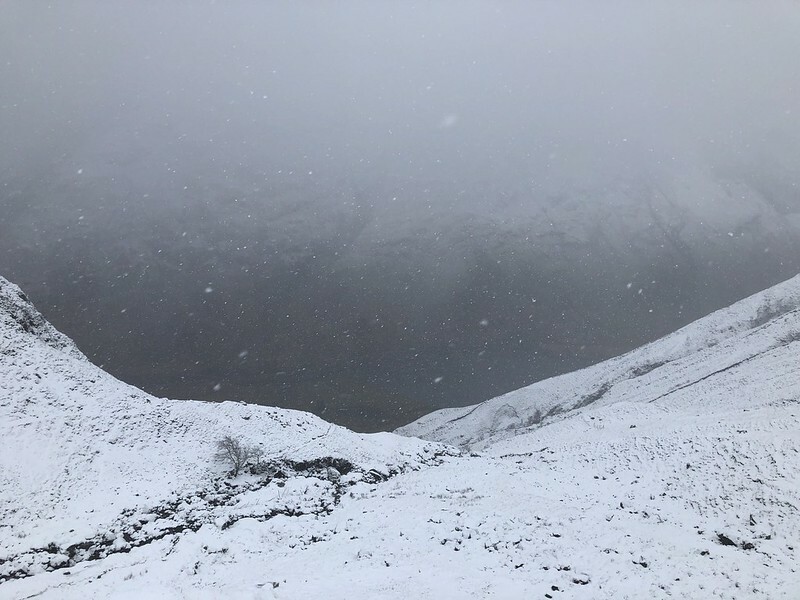 It was probably only a quarter of a mile up the trail when we got to the part where the snow started sticking. 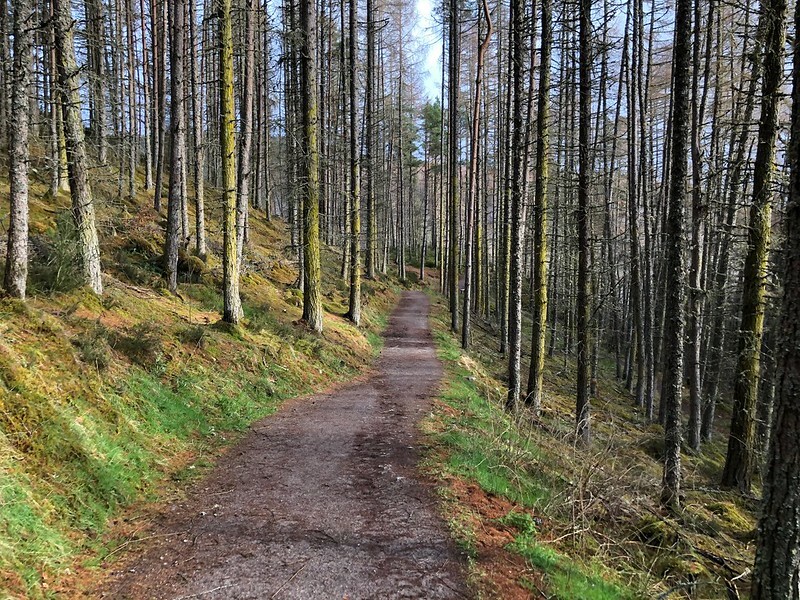 The path, paved with stones, was visible enough. Just slippery. 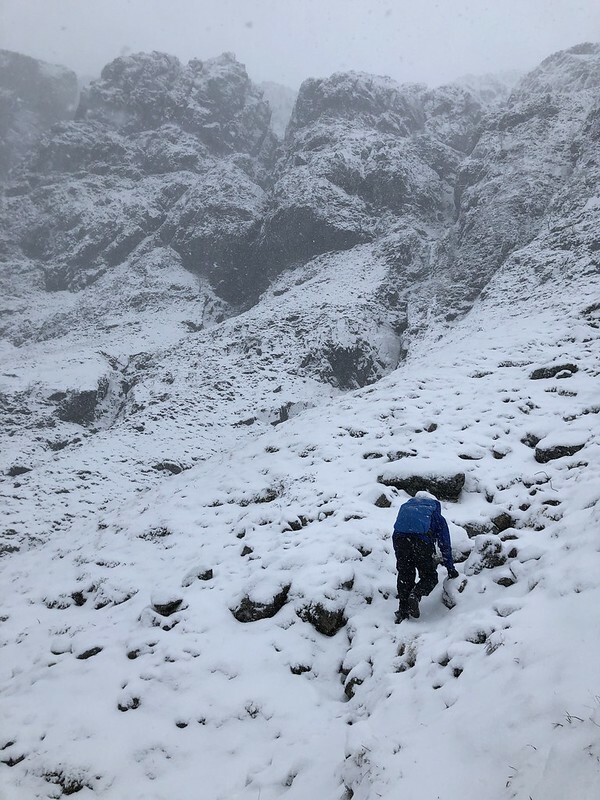 As we kept climbing, though, the snow got deeper. We made it about half-way up the mountain when we started having trouble following the trail. Three different times, we made an attempt to follow the trail, and three different times, we lost it. There was just too much snow and not enough visibility. It was disappointing to turn back, but the decision felt better and better as we descended. I slipped and fell four times (fortunately, nothing super-dangerous). Jay and I stopped to have a snowball fight at one point (which may have been frivolous and foolish, but at least it was fun!). We got sopping wet, and we had to stutter-step almost the entire way down — but we made it. 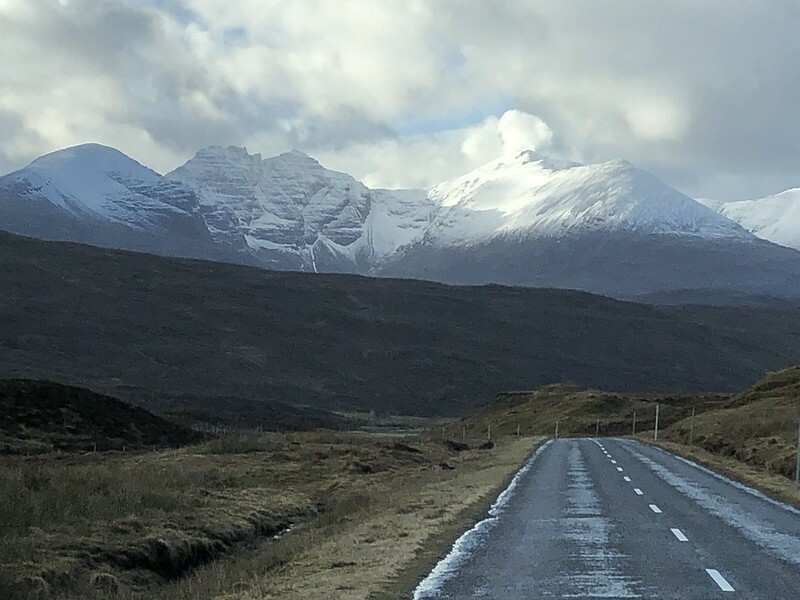 Back in the camper-van, we cranked up the heat and the stereo to listen to an old Scottish folk song that included the lyrics, “O, cruel was the snow that sweeped Glencoe.” And it felt like we understood Scotland better than any other time on our trip. 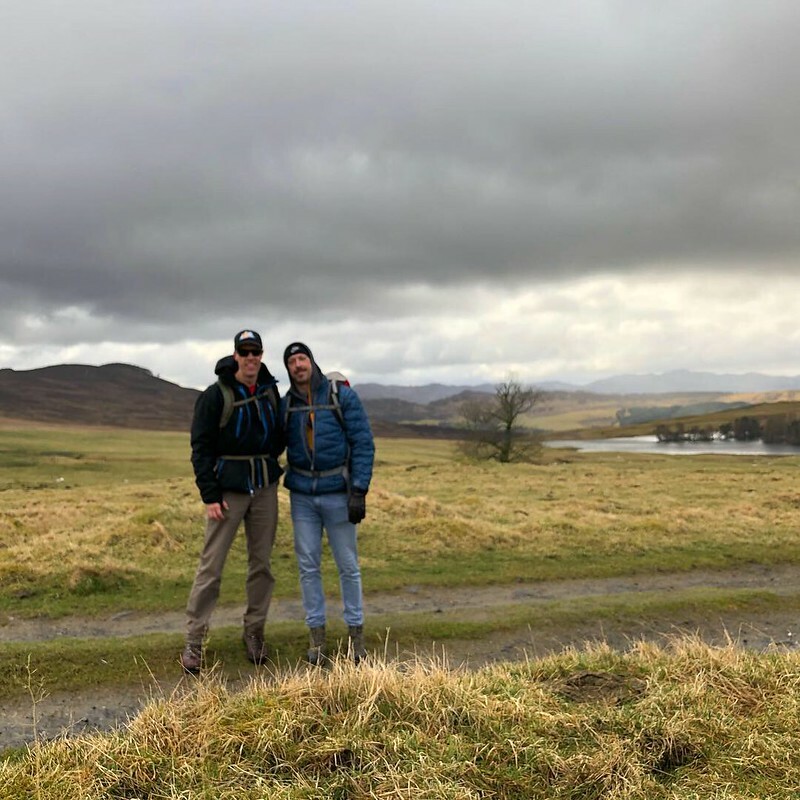 Over the last couple of days in Scotland, my brother and I have done about 20 miles of “walking” (hiking) in the Scottish Highlands. 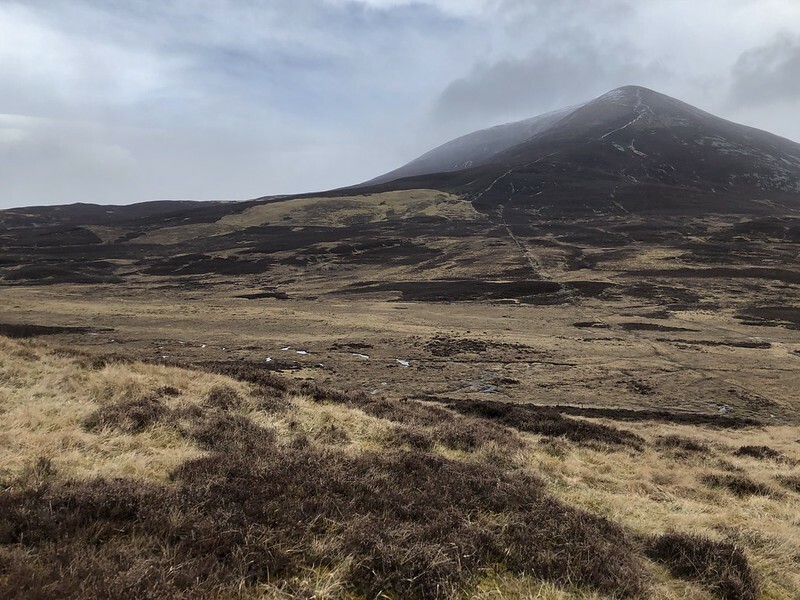 We walked to a blustery mountain-top called Carn Liath. 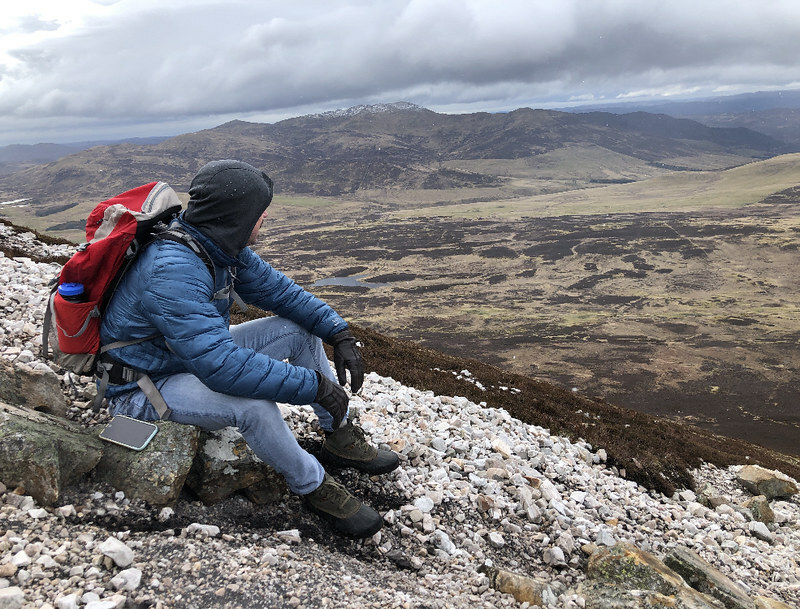 The wind on Carn Liath was so strong that it knocked us off our feet on a couple of occasions (fortunately not close to any dangerous precipices!). 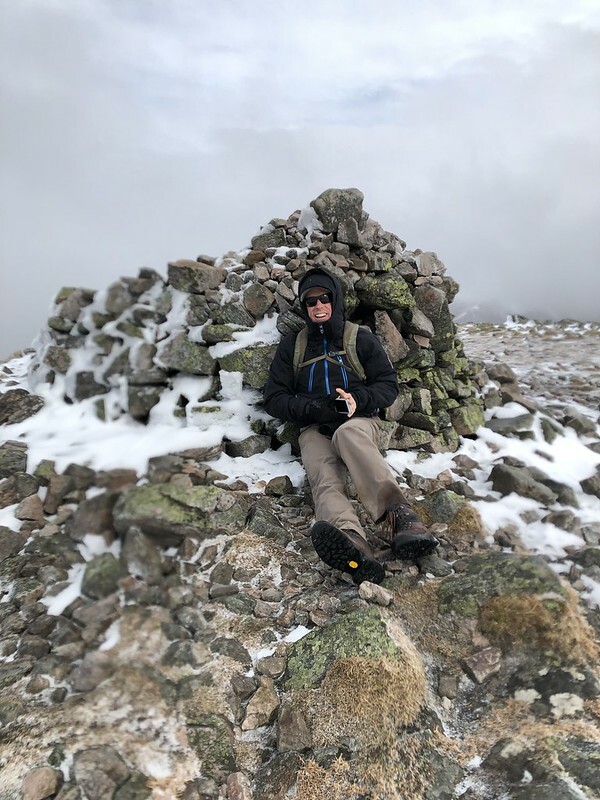 But we were proud to bag our first Munro (one of about 500 peaks in Scotland over the height of 3000 feet). We also walked through lush green forests. We walked beside roaring waterfalls. 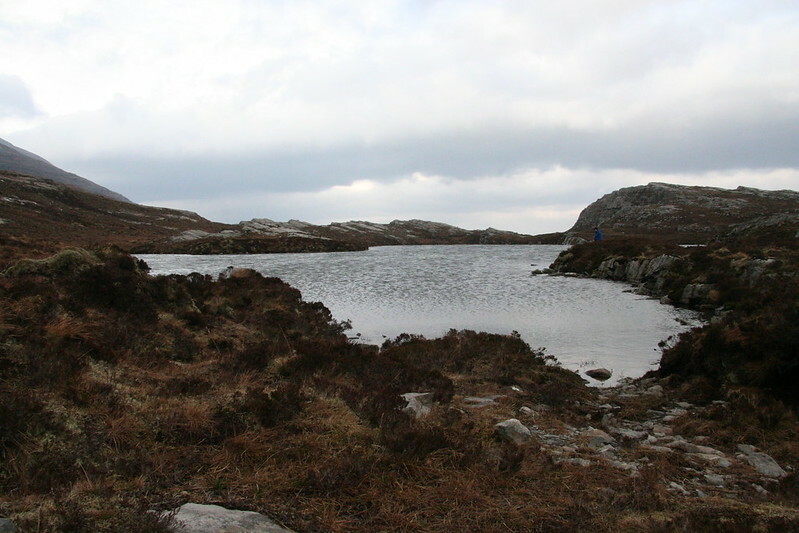 We walked alongside pristine lochs. 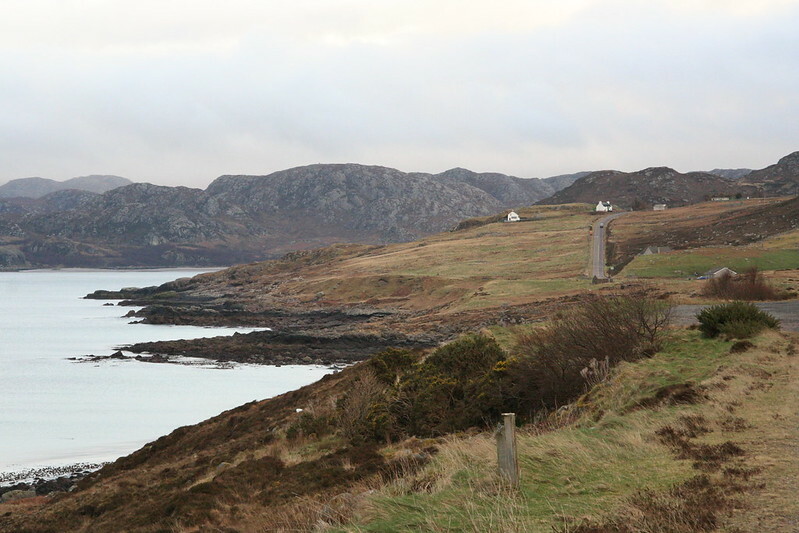 And we walked beside lovely little towns along the Atlantic and its estuaries. Through it all, it’s all felt like we almost have the country to ourselves! I appreciate the fact that we haven’t encountered any other international tourists during that entire time! We haven’t seen a single traffic jam, or even a traffic signal. 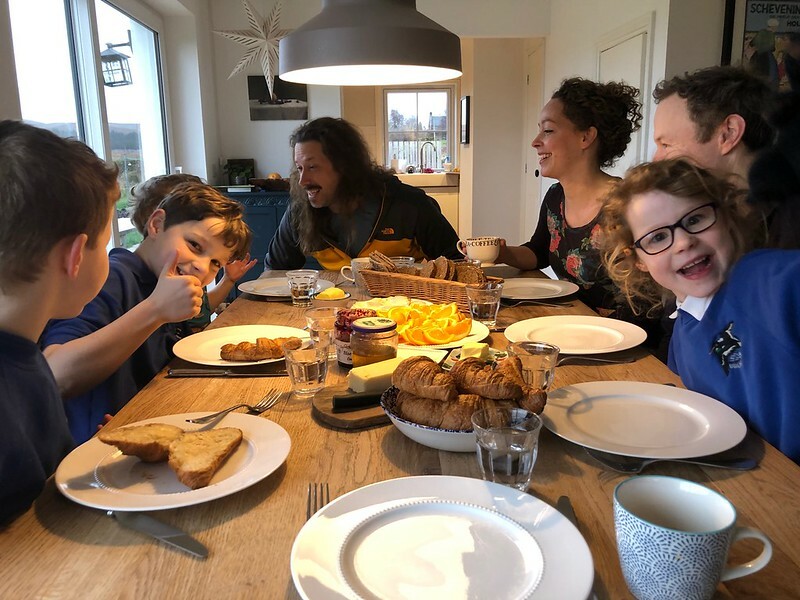 We’ve also enjoyed time with the lovely MacRae family (old friends from Amsterdam). And I don’t know quite how to describe it except to say that the MacRae home just feels very warm and welcoming. Neil and Kate have lavished us with hospitality. Still, when the discussion veered towards the possibility of us staying a second night, they sincerely made it seem like it would be their pleasure to host us as long as possible, more like “Can you please stay a second night?” instead of “Are you planning to stay a second night?” Seriously, their hospitality has been inspiring! Of course, there’s also been lots of conversation as brothers. Maybe not as profound or meaningful as I might have imagined, compared to the stuff we had to talk through when we were in Scotland seven years ago (when we were both going through major life transition). But the feeling of freedom and “elbow room” we’ve experienced has been amazing, and we’ve gotten to do it together. We’ve eaten good food. We’ve seen beautiful elements of God’s creation. It’s filled my soul on so many levels, like only the best of vacations can do, and I’m thankful for that. 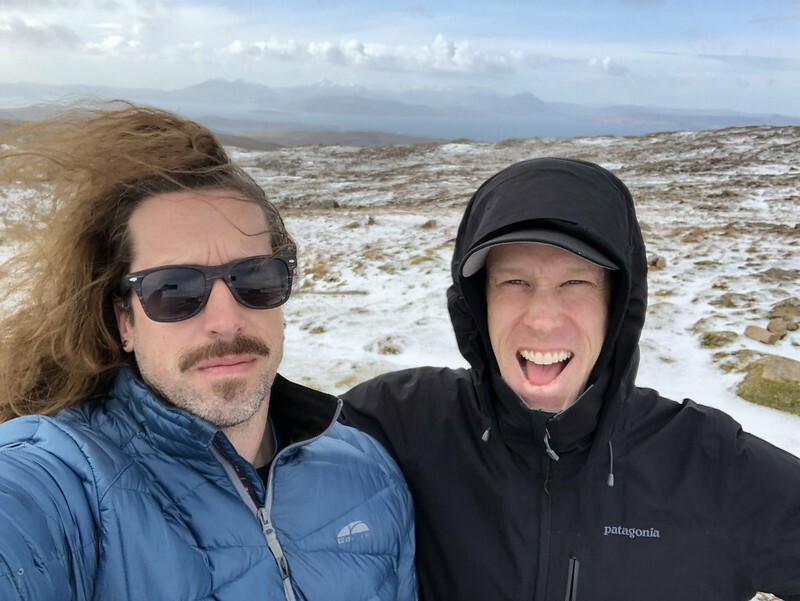 My brother and I made it to the Scottish Highlands! 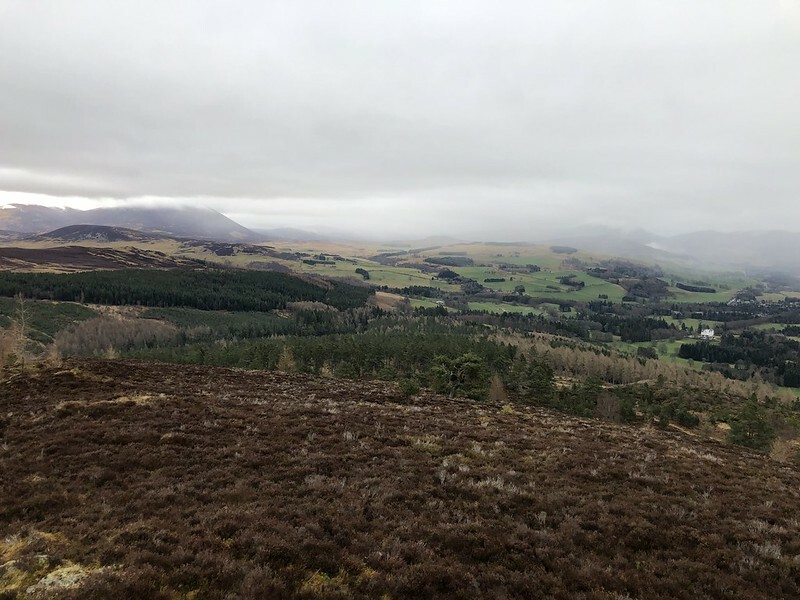 Shortly after driving into Cairngorms National Park, we parked our camper-van and walked to a castle, and then decided to keep going up into the hills. The hills climbed gently through pastures and forests. Even though it felt very remote, the way was marked with two very clear tracks. 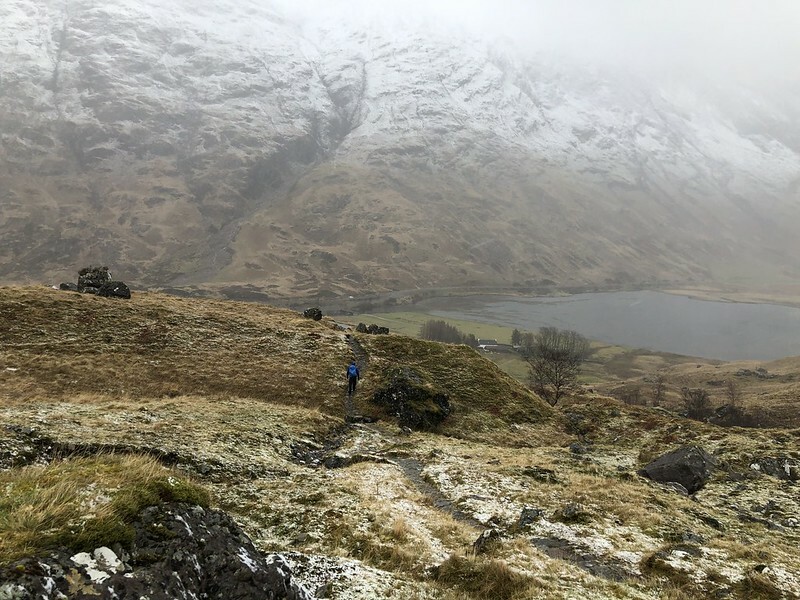 We climbed one of the hills (we later learned it was called Fair Bhuide) to take in a view of the castle and valley behind us — as well as some of the more imposing, snow-capped mountains beyond. We basically walked until we got hungry, and then we turned around — reaching the castle again around sunset. Mist hung in the valley, softening the light and making for a beautiful scene to remember our first full day in Scotland. 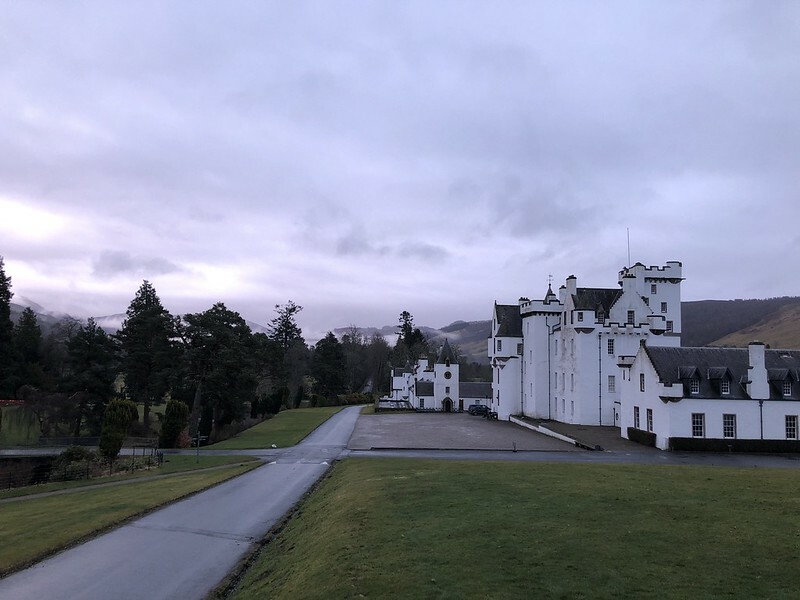 We finished with a meal at the Atholl Arms Hotel. There were a few other guests, mostly older Scottish couples who seemed to just be out for the evening or an overnight. The food wasn’t amazing, but it was satisfying. A satisfying conclusion to a satisfying day. 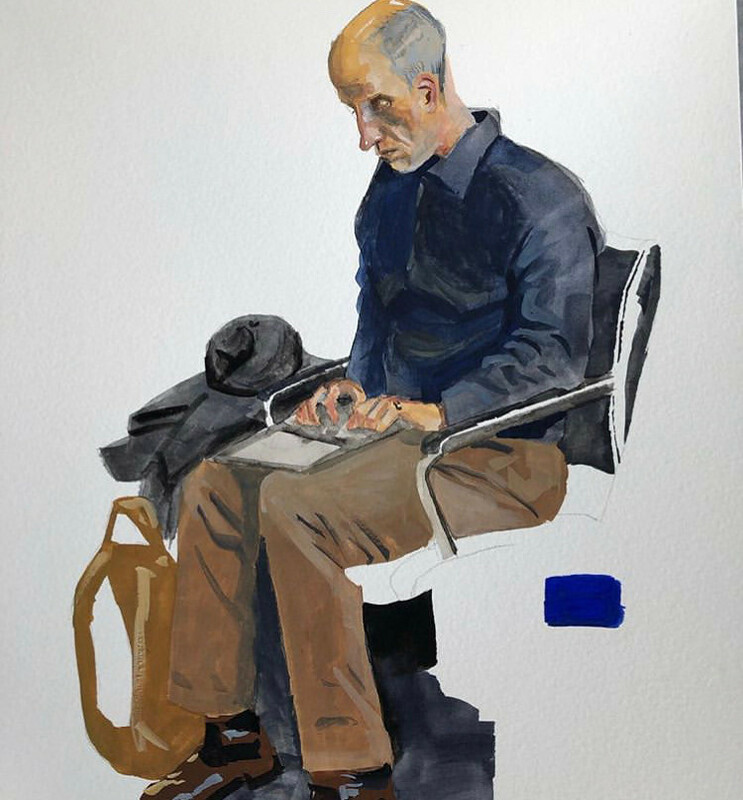 Jay painted a picture of me, as I spent some time writing at the airport. It clearly came out as a picture of a skinny, bald, middle-aged, middle-class man. It was an accurate depiction, if not alluring. 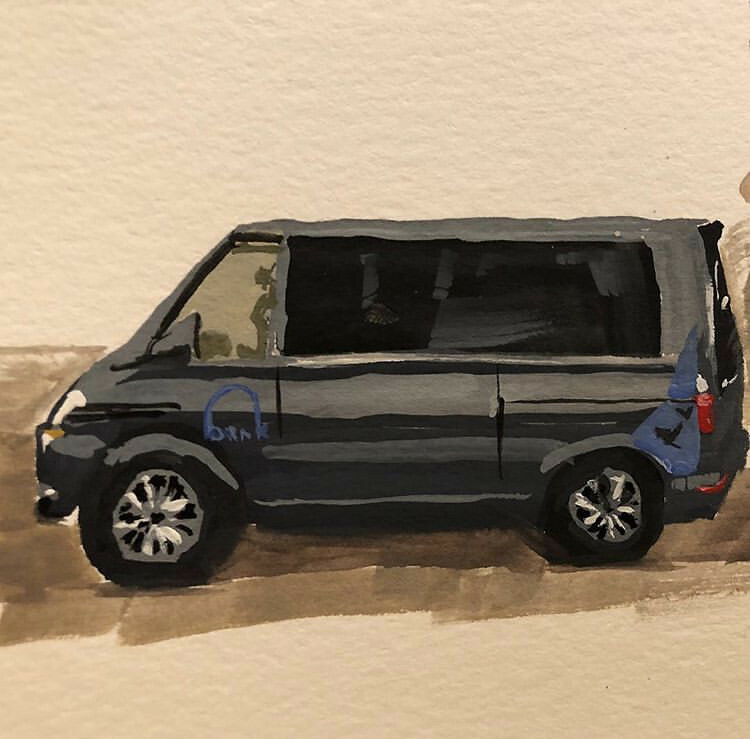 Somehow, the painting of the writing — and the writing itself — helped me to see that aging has already become a significant theme of this week with my brother. At this point in our lives, we get so few opportunities to stand ourselves up against a specific threshold we last traversed almost exactly seven years ago. At the time of our last experience in Scotland, I was processing the end of my ministry in Amsterdam. Jay was processing the end of his marriage with Heather. But a lot has changed in the last seven years. We’ve grown since then. We’ve stabilized. We’ve wizened. And, of course, we’ve aged. I didn’t fully grasp the “Measuring Stick” dynamic of this trip until the journey started. But I appreciate it. I happened to bring two books along for the trip which also seem to deal heavily with aging: Richard Rohr’s Falling Upward and Haruki Murakami’s What I Talk About When I Talk About Running. The outbound journey has already hit some snags and delays. Nothing too serious — and we didn’t have a super-tight itinerary in Scotland anyway. At the moment, we’re sitting out a three-hour delayed-and-lengthened layover in Amsterdam. But I feel like the extended transition is heigtening the effect of the “Measuring Stick,” getting us ready for what God might reveal this week. I’m a little bit anxious and also a little bit encouraged. 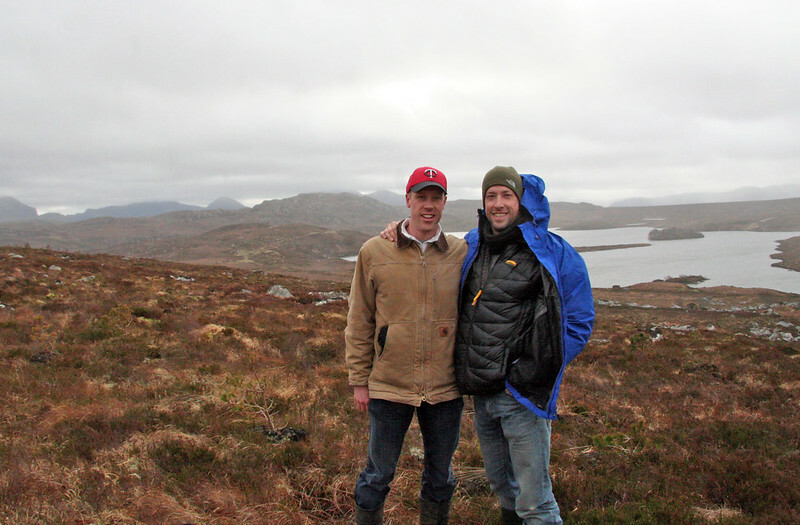 Our first (and only) prior experience with Scotland was in the Spring of 2012. At the time, I was just getting ready to leave Amsterdam after ten years of cross-cultural ministry. Jay was just going through a divorce after eleven years of marriage. 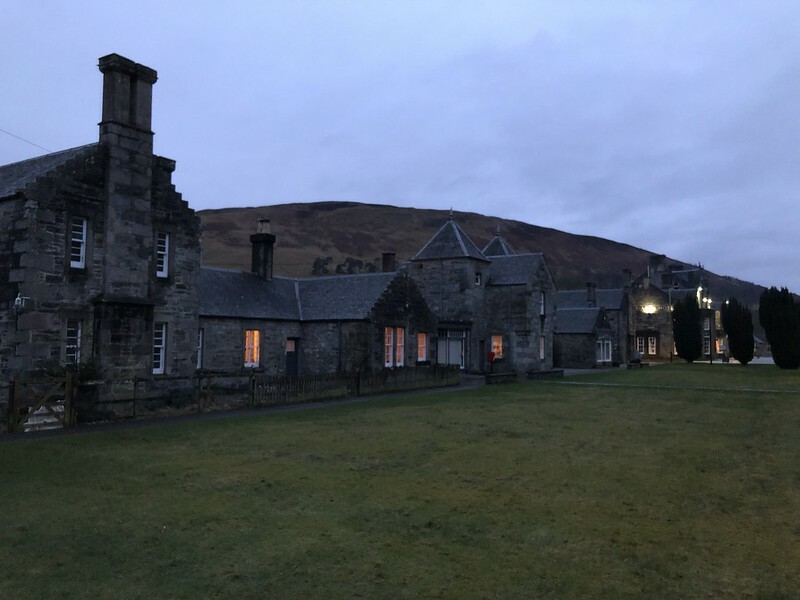 We didn’t realize at the time how meaningful the hours of conversation and companionship would feel, as we went through significant life transition — but our time together in Scotland proved to be an emotional milestone. It was also an epic road-trip. We climbed mountains and warmed ourselves by the fires of cozy cafes. 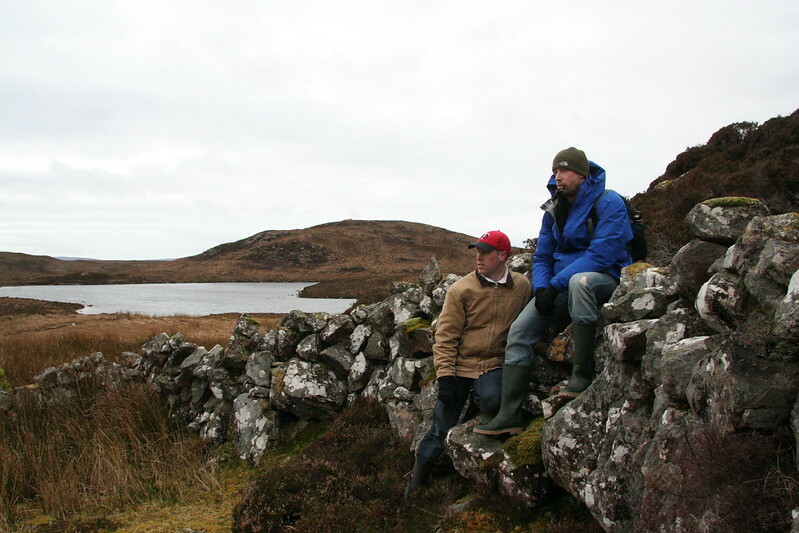 We dove into a cold mountain lake and enjoyed meals with old Scottish friends. We only had three days in Scotland, but we made the most of them. 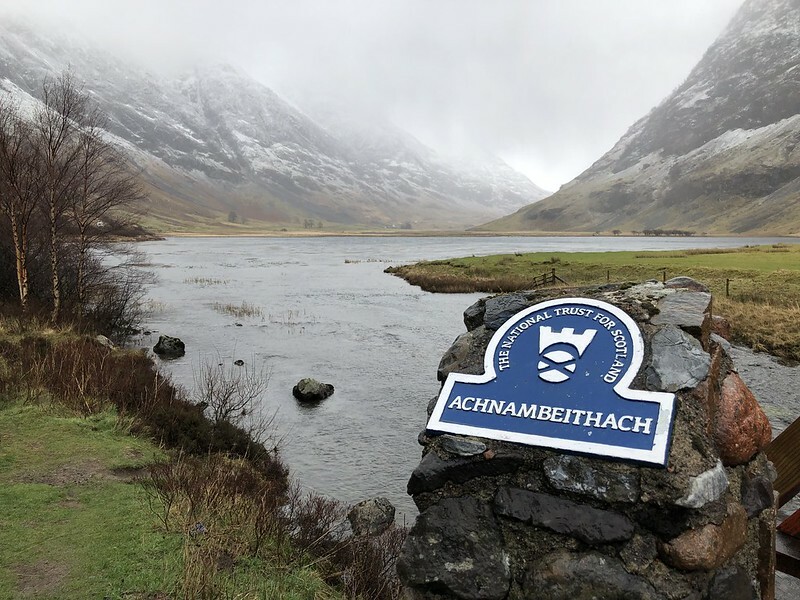 So when Jay said that an app on his smartphone notified him about some cheap tickets to Scotland, we made a rather spontaneous decision to make it happen. 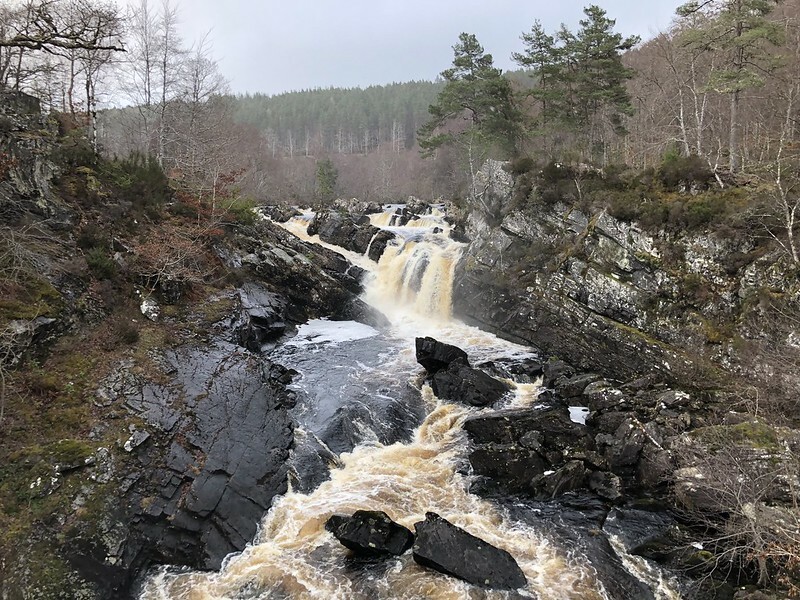 We nearly succeeded in getting our other brother, Alex, to join us — but in the end, circumstances dictated that it would be just the two of us traveling to Scotland. Almost exactly seven years after the original trip. I don’t know exactly what to expect with this trip. I don’t believe that either of us are on the verge of major geographic or life transition. We’ve got time to let ourselves breathe a little bit more, while we’re there. 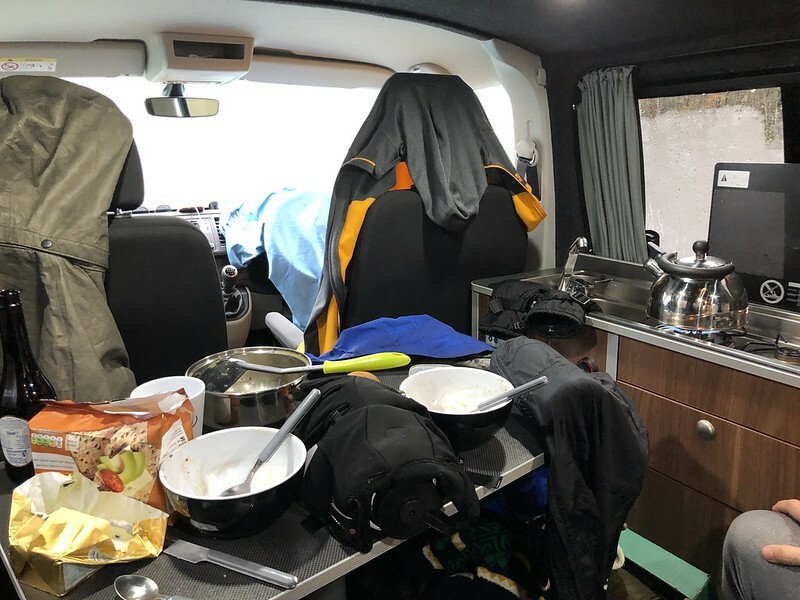 We’re going to be traveling around in a camper-van, with a good bit more flexibility in where we go and how we portion our time. Jay’s brought his painting supplies. I’ve brought a number of books to read and a brand-new journal, ready to record our experiences in my own way. 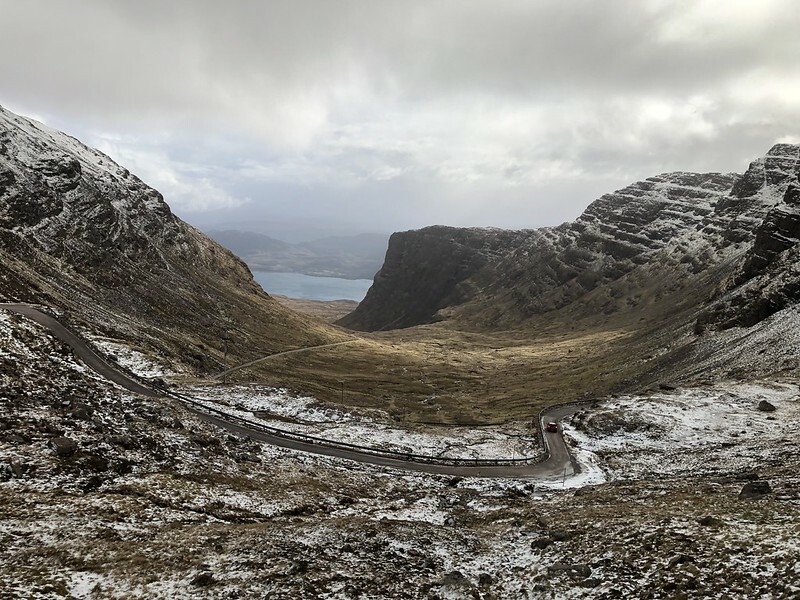 Scotland in March can be cold and wet. But I’m really looking forward to the week ahead, with my brother. 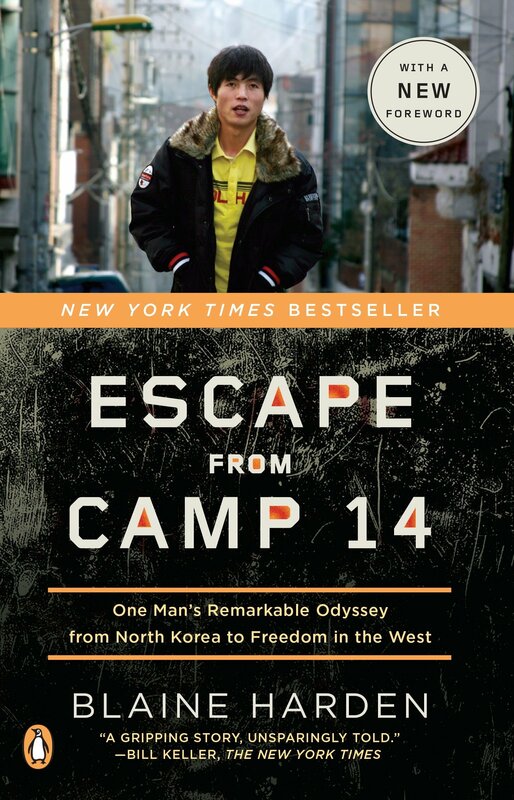 I recently finished reading Blaine Harden’s book, Escape from Camp 14. It was recommended to me by my friend, Jake. It was a really quick read (and I’m generally a slow reader!). I appreciated the book both for its story and for its window into human rights issues in North Korea. Blaine Harden was a reporter for the Washington Post. In 2008, he published a piece outlining the story of one man’s escape from a North Korean forced-labor camp. The news article was shocking. It outlined the plight of hundreds of thousands of prisoners in North Korea. As Harden researched further and developed deeper trust with Shin Dong-hyuk (the main figure in the story), the narrative became more nuanced. It would be too simple to call Shin a hero, or an entirely-innocent victim of an oppressive regime. But honestly, the nuances made the story more meaningful to me. Shin Dong-hyuk was born in a prison camp, the son of two political prisoners. And since regime policy is to punish “traitors” to the third generation, Shin was destined to know nothing beyond his relatively-short life expectancy in Camp 14. He was regularly beaten. He was regularly forced to watch executions of other prisoners (including his own mother and brother). He suffered extreme forms of torture (particularly when he was suspected of harboring secrets about his mother’s and brother’s attempted escape). And for the first three decades of his life, he suffered from almost constant starvation: to the point that finding, killing and eating a rat, or just a few kernels of undigested corn in the droppings of an animal, was considered a boon. The descriptions of daily life inside Camp 14 were the most powerful part of the book. Shin’s account aroused in me a profound sense of injustice which felt healthy and appropriate. I realized that I can spend much of my life immune to the troubles of those who experience suffering around the world on a daily basis. The descriptions of life in North Korea, however, unsettled me. In a good way. The escape account itself was harrowing. But even though this event serves as the title for the book, I might even go so far as to say that the escape was the least interesting part of the book for me. In addition to the depiction of daily life inside a North Korean prison camp, I appreciated the story of Shin’s adaptation to the outside world after his escape. He spent time in China, South Korea, and the United States. He received help from several different individuals and organizations who are all trying to figure out how deal with the human rights situation in North Korea right now — but his “happily ever after” has been complicated and nuanced. Again, this makes the story feel that much more authentic and compelling to me. But there’s no tidy conclusion. No clear next step. I’m going to continue thinking about Escape from Camp 14 for some time to come. But I, for one, am inclined to think that’s the sign of a good book. I’m not good at keeping up on all the latest music trends. I can’t even remember the last time I went to a concert (unless you count a middle school band concert). But my friends and family (special thanks to Jay, Elliot, Brooke, and Dylan) help to keep me at least a little informed about what’s happening in the world of popular music. I needed to make a video for New Light but nobody could agree on a budget… So I went to a place downtown and made this with a company that usually does birthday and Bar Mitzvah videos. I’d like to know if there are any other songs like this that I need to know about. In particular, I’m currently on the hunt for songs that feature a prominent theme of “light,” to round out a full playlist to go with “New Light.” And — completely unrelated — I’m looking for songs in which robots sing (like Styx’s “Mister Roboto” or Daft Punk’s “Harder, Faster, Better, Stronger”). If you know any songs along those lines, please let me know. I know: I’m weird. But at least it’s not a stagnant kind of weird.